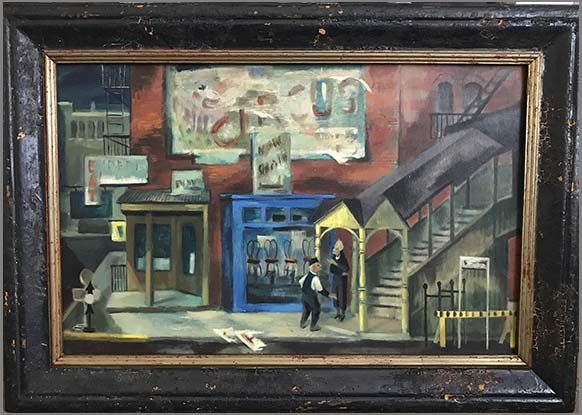 Paul Warren Zimmerman was an artist and professor emeritus of the Hartford Art School. Born April 29, 1921, in Toledo, Ohio, the son of Robert Frazee and Ethel Pearl (Cramer) Zimmerman, Zimmerman passed away December 15, 2007 in Hartford, Connecticut. He was awarded a full scholarship to John Herron Art School, after graduating from Kokomo high school in 1941. He graduated with a bachelor of fine arts degree in 1946 from John Herron Art School. 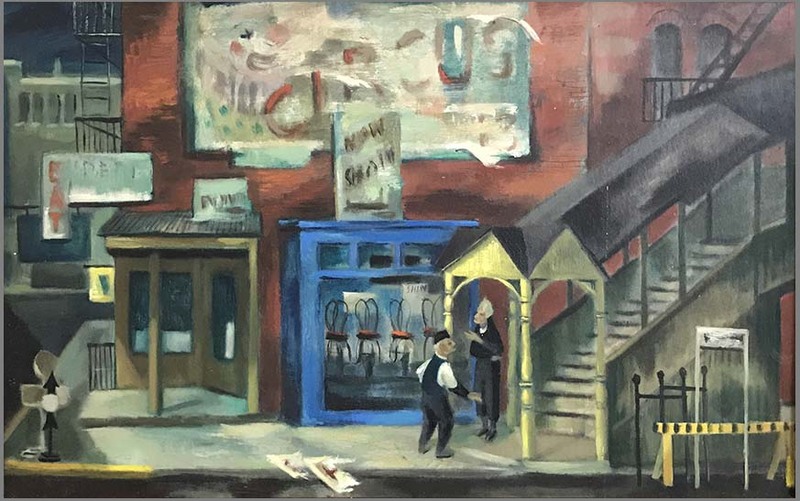 Upon graduation he was awarded the Mary Milliken Memorial Fund Scholarship of $1000, with which he continued his training in New York City, under the auspices of Heinrich Mayer, director of the Hartford Art School. In 1947 he became associate professor painting at the Hartford School of Art. He semi-retired in 1986, as a professor of painting and design at the Hartford School of Art, the University of Hartford, Connecticut. He continued to paint in his studio until 2007, as well as have one-man shows. He taught on a part-time basis at the Hartford Art School and at the West Hartford Art League until a year before his death in 2007. As an avid collector of art, he donated his collection of oceanic art to the Slater Museum of Art in Norwich where it remains on permanent display. He was nominated for a Ford Foundation Grant, American Academy of Arts and Letters and associate membership in the Academy of Design in 1959. Nineteen pieces of his work were brought to Kokomo, Indiana in 1958 for display during the spring exhibit of Kokomo High School Fine Arts students' work. Since 1940 when he has entered some of his work in the Indiana State Fair in Indianapolis, Indiana, one being a portrait of his mother, Ethel Pearl (Cramer) Zimmerman, painted in 1942 (she passed away Dec. 7, 1945), which he won an award for. It is in a private family collection. He has received well over 86 awards, among these in both regional and national exhibitions are as follows: The First Hallgarten prize 1954, Wallace Truman prize 1956, Salmagundi Club prize 1962 from the National Academy of Design, New York; the second prize Butler Art Institute 1958; Purchase prize 1959 and the Patrick B. Mc Ginnis award 1961 from the Berkshire art festival; third prize 1954, members prize 1964 the Boston Art Festival; Art Association prize 1957, J.J. Holcomb prize 1955 Herron Art museum; Cooper Field prize 1961, first prize 1963, Sage Allen award 1964 Connecticut Academy of Fine Arts. He did a painting in honor of his sister which he named "Still Life L. Belle", which is on permanent display at the Scott-Richards Art gallery, in Chicago, Illinois. Springfield Museum of Fine Arts, First New Haven National Bank, New Haven Conn., Pennsylvania Academy of Fine Arts, Philadelphia, United Aircraft Corp. East Hartford, Wadsworth Atheneum, University of Notre Dame, Lehigh University, and numerous private collections, including actress and "post heiress" Dina Merrill has several of his paintings, and before his death the actor Edward G. Robinson had some of his work. He had also been commissioned to design a series of murals for the Chase Manhattan Bank in New York. In 1955, he received second prize at Chautaugua, New York; and in 1959 the Howard Penrose Award at the Connecticut Academy and the Gertrude Melcher Springer prize at the Indiana exhibition. He was awarded the Salmagundi Prize of $100.00 for his painting Ergremont at the annual exhibition of the National Academy of Design in New York. He was awarded the top award in the Connecticut Watercolor Society Prize of $125.00 for his beach scene Misquamicut; he was awarded $250.00 in July 1964 at the Boston Art Festival; third prize of $200.00 for an oil painting entered in the Kearney Memorial Regional Exhibit, Milwaukee. He also won top award of $300.00 for his painting Young Dancers, and gained the Hartford Keeling Company Award of $150.00.